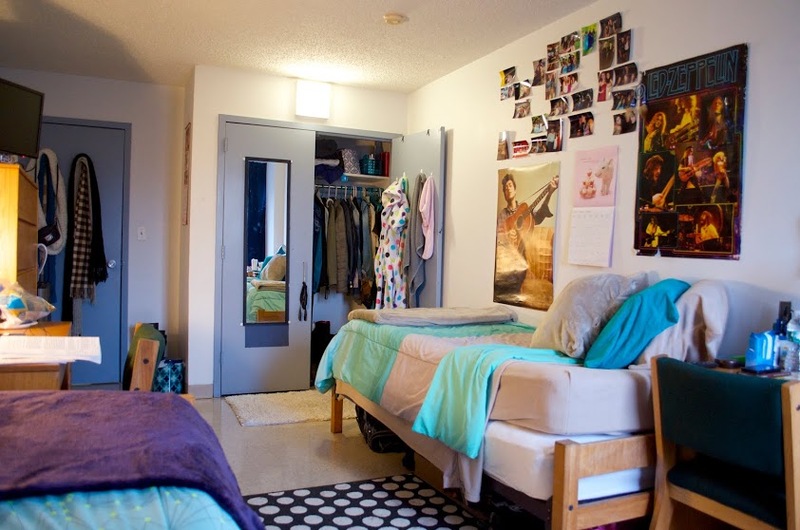 A dorm room in Horan Hall. Photo by Ashley Sanchez. With housing selection coming up again, here are a few basics about every residence hall at MC to help you narrow down your picks for next year. The housing deposit is due April 17. Commonly known as C-Block, Chrysostom is the oldest residence hall at MC, home to approximately 100 freshmen students. 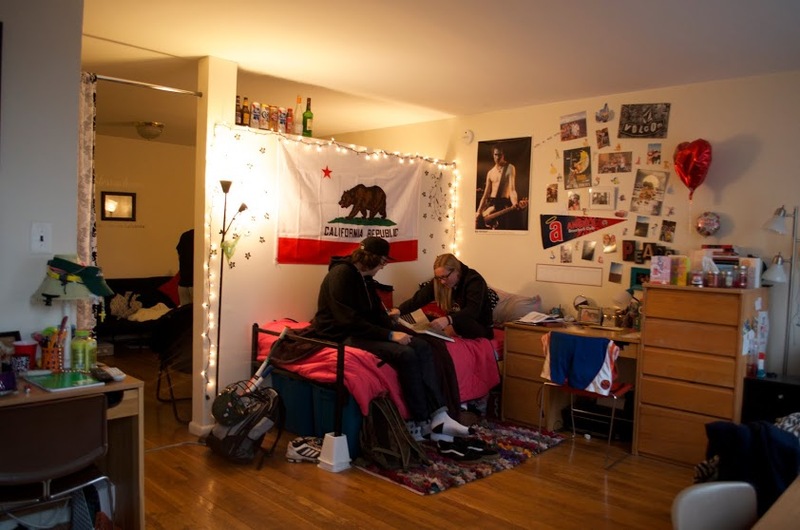 Although they are slightly smaller rooms than any other dorm at MC, C-Block offers a closely tied community. At first freshmen do complain about Chrysostom, however, as the days go by, C-Block does not seem as bad as it is portrayed to be. In fact, after an entire year in Chrysostom, many students wouldn’t mind returning to live in Chrysostom, even though C-Block is not offered to returning residents. Every Chrysostom dorm houses two students and comes with cable television and wireless internet. Among the four floors, the most common problems reported by students are the communal bathrooms and no air conditioning. 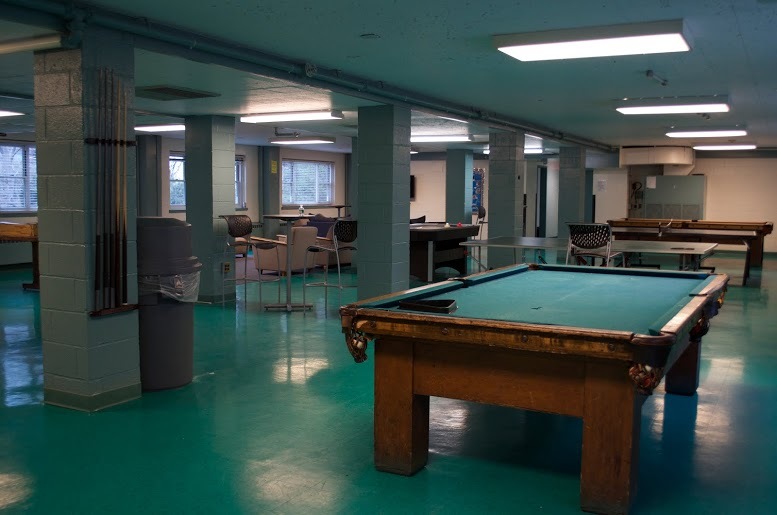 Regardless, Chrysostom is a classic and offers two kitchen and dining areas, three lounges with large screen televisions and air conditioning, a laundry room, a study room, recreational room with a pool table and ping pong table, and vending machines for snacks and beverages. East Hill residence hall. Photo by Ashley Sanchez. East Hill, our newest residence hall, is a student favorite. East Hill houses 550 students on 10 different floors in suites ranging from two to five students. Just like every other residence hall, East Hill has new and faster internet access in every room and cable TV. There is a lounge on every floor in East Hill that has a LCD flat screen TV, and a kitchen and dining area. Every floor in East Hill has a laundry room, and just like all other residence halls, it has vending machines for snacks. Jasper lounge in Jasper Hall. Photo by Ashley Sanchez. Jasper Hall, home to 250 students throughout its five floors, is another favorite. The communal bathrooms on each floor may be the biggest and only major problem faced by residents. Just like every other residence halls, Jasper Hall has internet access in every room and a lounge with LCD flat screen TVs. It has a recreational room along with a laundry room and a kitchen and dining area. The recreational room in Jasper is very big, big enough to host many fun events, and is open to many commuters a well. The Horan Hall Bridge. Photo by Ashley Sanchez. The largest residence hall, and home to approximately 780 students, Horan Hall consists of many different suites. Common among all residence halls, Horan has a lounge on every floor with an LCD flat screen TV, kitchen area, cable TV and improved internet access in every single room. There is wireless Internet connection throughout all 11 floors in Horan. There is a laundry room in every single floor beneficial to any student in Horan. “All of my friends are in Horan. It resides a lot of the athletes. It provides a cool building community,” second year track athlete Joe Martello said, who currently resides in Horan Hall. 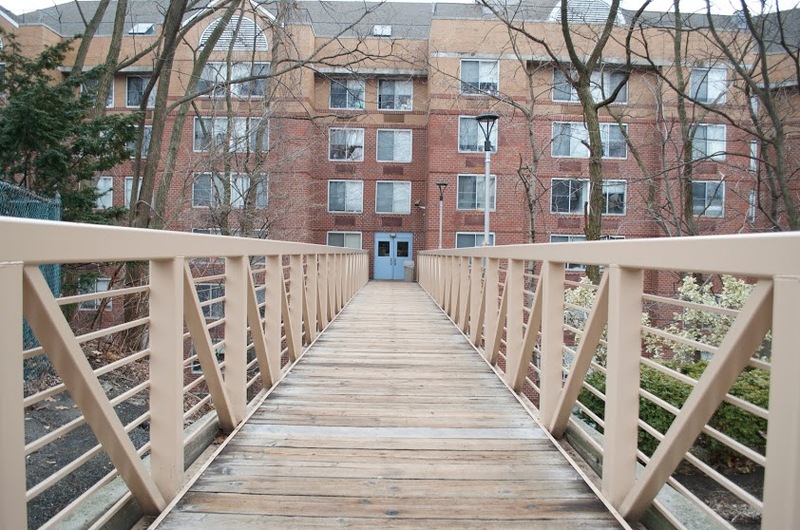 All residence Halls are very close to the central quad and classes. 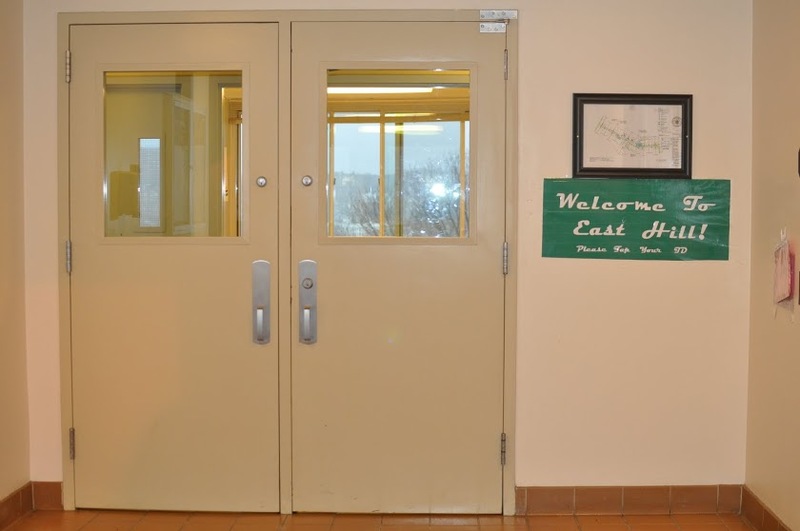 Horan Hall has central air conditioning that students can control. “The rooms in Horan are pretty big but as you grow older, a little more personal space is needed. Therefore I am contemplation whether to move to an apartment where rooms are a lot bigger or stay in Horan,” Martello continued. Horan is the closest hall to Broadway, making it a bit more convenient for coming to and from the subway and off-campus dining. Students in an OV (Overlook) apartment. Photo by Ashley Sanchez.